Escape at Wild Moor: Unit 24 Lot 91; TOT ID# 1891. 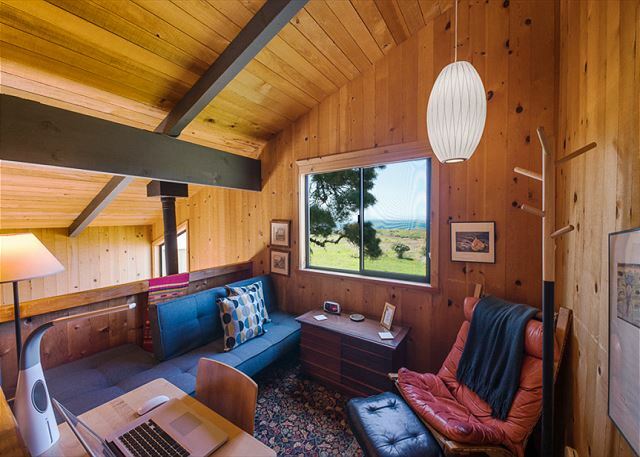 An original Sea Ranch home designed by architect Philip Bradley in 1970 that reflects the Sea Ranch founders’ design philosophy. 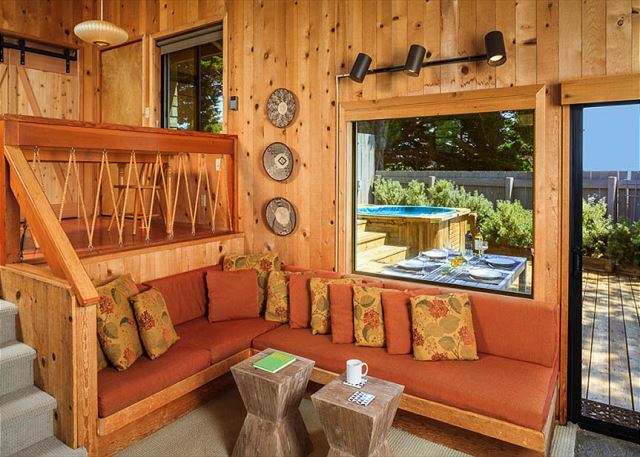 Sunken living room, built in banquettes, cedar walls and ceilings and the open layout reflect the Sea Ranch vision. Unobstructed ocean views across the meadow, not only from the deck, but also from our new, quiet top-of-the-line hot tub with powerful jets. Enjoy even more ocean views from the designer 2nd bathroom added in 2017. Our home is solar powered. 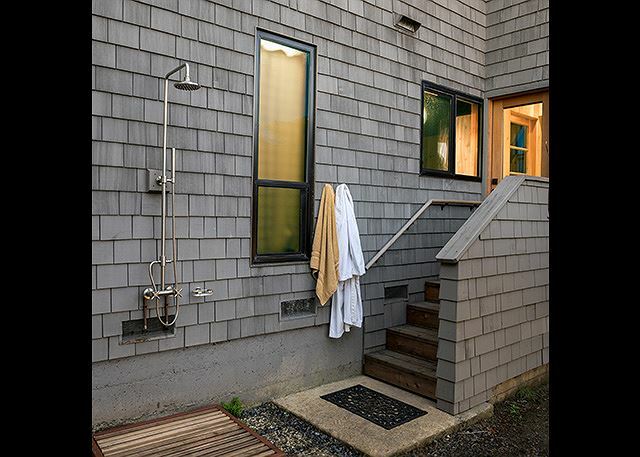 Modern outdoor hot water shower popular with abalone divers and beachcombers. Five minute walk to Shell Beach, seal rookery, or to the tide pools. Cozy wood burning stove. 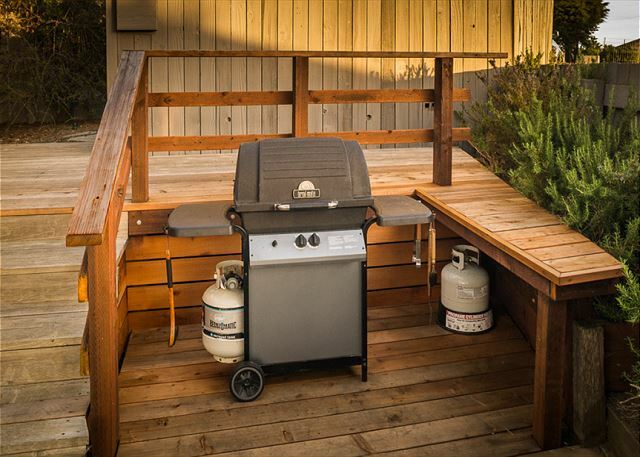 Large private deck with gas BBQ. Doggy friendly. Situated in the famed micro-climate of Wild Moor Reach. New mattresses installed in 2018. Linens are not provided in home. Escape at Wild Moor was a really great way to spend a mini-getaway for my partners birthday. The hot tub with an ocean view was incredible. Having to bring your own linens or pay extra for the service was a little weird, but fine. 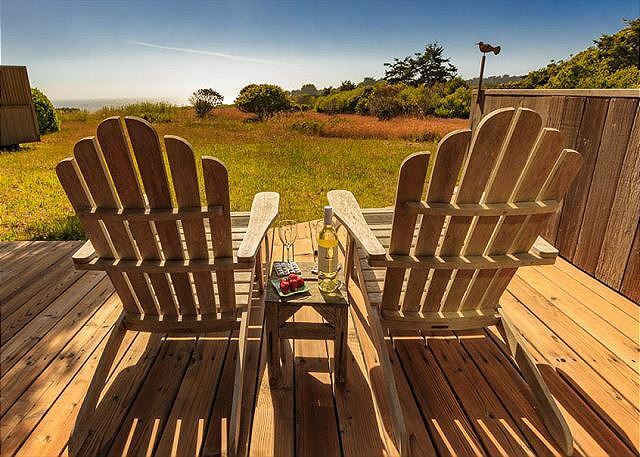 Would definitely utilize Ocean View Properties again for our next stay at Sea Ranch! We thoroughly enjoyed our long weekend retreat in the "Escape at Wild Moor" house. 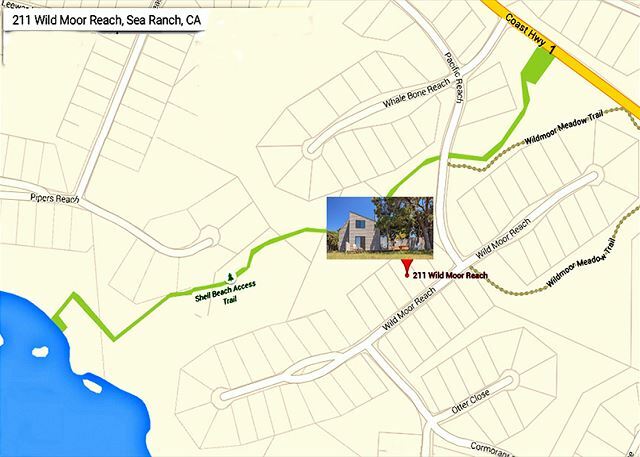 The location was excellent - close to trails and the beach. The property was well maintained. However, the kitchen wasn't as well stocked with basic pantry items as other places we've stayed (we contributed a bottle of canola oil). The flat pans ("cookie sheets," etc. for roasting) were rusted, so we covered with aluminum foil. The kettle was corroded inside, so likely needs replacing. The dishwasher also doesn't seem to be working properly - there's a big streak of dried up detergent, and the one load we did came out still dirty and chalky, so we washed everything else by hand. Otherwise, the house was lovely - plenty of room for many, and wonderful that dogs are welcome! Thank you! loved it the first time we were there & just as pleased with it on our second time around!! First time at Wild Moor, enjoyed our December week here. Best location for access to paths for seal viewing. Too a few days to master home’s hot and cold spots via central heating in bedrooms and woodstove in livingroom. Lots of stairs. 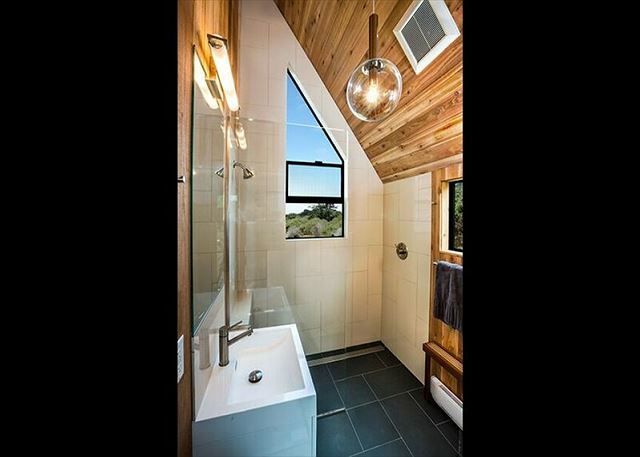 Pristine jacuzzi, fabulous new shower addition with sea view. Kitchen lacks for nothing, stove is induction. Bring bathing suit and hiking shoes, binoculars and get the app, AllTrails to help navigate walking trails. The house was spacious and accommodating of my husband plus two dogs. We also enjoyed the ocean view from the hot tub. Our younger dog wandered next dog and was quickly restrained by a neighbor who was concerned about the safety of the dog. We were reminded by security that a $500 fine will be in place starting Jan. 2019. The house was very clean and comfortable. Everything was in good working order and we appreciated the eco vibe (solar panels on the roof, waterwise features etc.) Loved the views and location within walking distance to a beach where seals hang out. We would definitely return to this house again. Comfortable house with attention to detail. Beautiful views from the windows including two hopping deer. The house was warm, inviting and we prepared most meals on site in the very well stocked kitchen. The trails to walk are breath taking vistas of the Pacific Ocean crashing against cliffs. The seals were sunning themselves as we walked along the cliffs. If you like peace, beauty, silence and few people you will thoroughly enjoy Wild Moor. 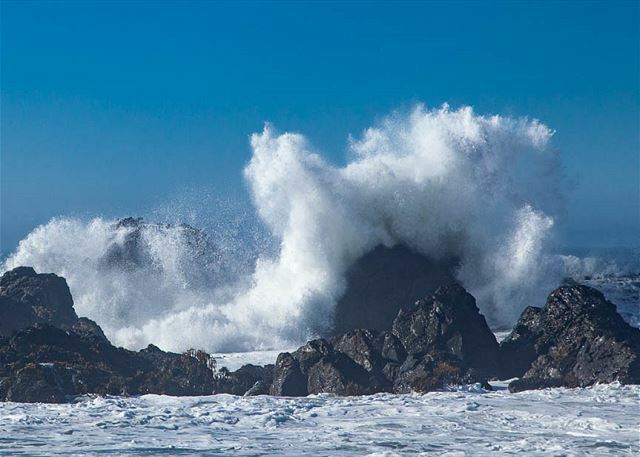 Anywhere we stay at Sea Ranch is great, we love the Sonoma coast. This rental was nice. When everything was perfect, works. When everything went smooth, relaxing and comfortable indoors and outdoors, there is not so much comments to give other than ....... Perfect place to stay for the week. we will certainly come back. Thirteen years and running! It is always a pleasure to rent 211 Wildmoor. Our family enjoys the coziness of the home and we have made so many great memories here. A well designed, well located house. A beautiful, even if not expansive, view of the ocean, and fabulous view of the stars from the hot tub! Really fluid indoor-outdoor design that made eating outside so easy and pleasant. Our only hesitation with the home were in the kitchen. The kitchen is small which on its own was not a problem at all, but the collection of utensils was missing some basics—a grater, a garlic press, serving spoons, a functional tea pot with strainer or tea ball, a muffin tin and a basic baking pan. Obviously these would be non-issues to many, but with a well outfitted kitchen, we would have had an absolutely perfect stay! Ocean View property management was very pleasant to work with. Thank you. Wild Moor is absolutely perfect. Gleaming clean/pristine condition, fully stocked (we cooked every meal there and didn't have for want of anything), with a brand new hot tub and gorgeous views. 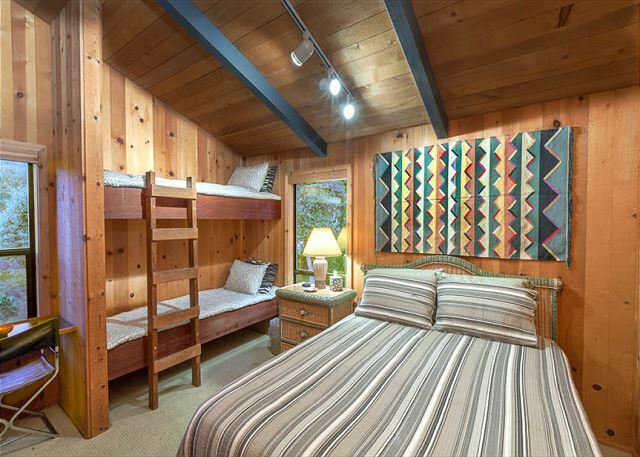 The sleeping arrangements accommodated two couples beautifully, but we could have easily seen another couple or more children fitting in (the bonus loft space upstairs was adorable). I can't say enough about how wonderful the house (and sea ranch generally) is. Thank you so much for an amazing stay, we will definitely be back! I loved our stay; perfect size home, well stocked kitchen, nice inside/outside living, close to the bluff trail. And we were able to bring our dog for a great weekend. Three things to know: The heaters are very effective, but never go to zero; so if you like a cold house, this property won't get too cold. The new hottub is comfortable and is situated perfectly to watch the stars, but the entrance from the deck isn't to the hottub step, so be careful on entering. Lastly, the queen beds are too soft and probably are ready to re upgraded. None of these would prevent me from going here again, but might matter to someone else. Escape at Wild Moor is fabulous! Though this is a compact house, it works beautifully for a group of 6. Wonderful new bathroom and hot tub. 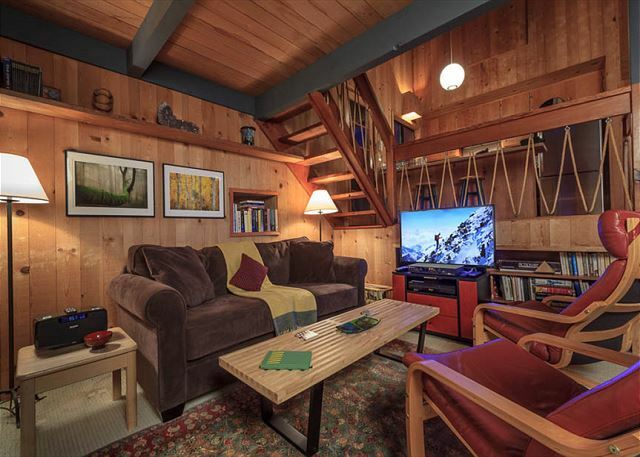 This is a cozy place that my husband and I shared and would also be great for a family. Access to the beach is just a few blocks away and the views from the home are lovely. The perfect space and location for our getaway. This is a very private home in a good location with a fun layout and nice views. The hot tub does not have a water view. Also, beware of the "twin" bunk bed. These beds are definitely NOT twin width. We, humans and dog, enjoyed everything about the house. We watched beautiful sunsets, made good use of the grill and deck-a nicely appointed and cozy home. Wild Moor was a wonderful unit. 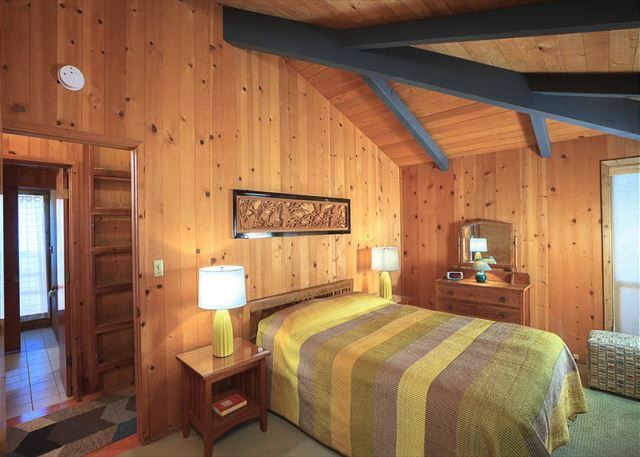 Quiet, beautiful view, comfortable amenities, and wonderful Jacuzzi. spent another relaxing week at our favorite place at Sea Ranch - even enjoyed the rain! What an amazing house: all comfort in a great neighborhood. We were very pleased with the house and the location. 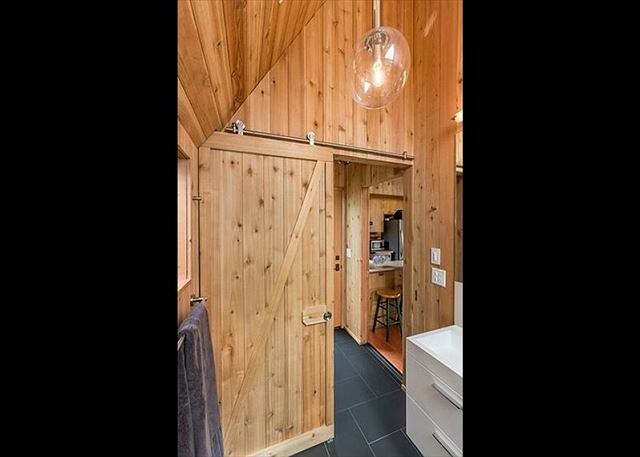 This is one of the more interesting houses we have rented because of it's layout and efficient use of all space. Everything at the house was great, as was the staff and service at Ocean View. Although it rained during most of our stay, we still had a great time! We would definitely stay here again. We had such a good time will be back next year and many more years to come. Our family escaped to Wild Moor in early July. The house is not fancy but relaxing, clean and well maintained. We would definitely recommend this home. My family (husband and two kids 10&8) stayed at Escape at Wild Moor for 5 glorious days. The house was everything we hoped it would be and more. We really felt"at home" in this house. All the amenities were provided, from hair dryer to cooking spray. We had a wonderful time cooking our meals and enjoying the beautiful ocean view. We came to this destination knowing we wanted to relax and not spend a lot of time driving all over the place trying to find things to do. All of the beaches were easily accessible by car or walking trails. We took full advantage of both. We can not wait to return. Our kids loved every part of this wonderful vacation,as did the parents! 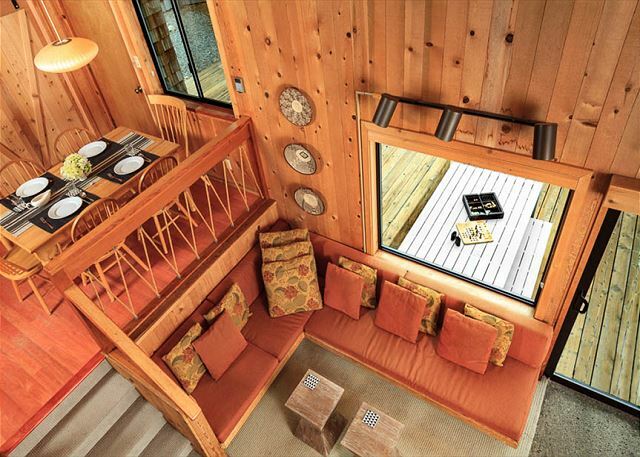 Great cabin, beautiful/pastoral setting with a myriad of trails. It is quiet and the ocean is the only sound at night. We really enjoyed our relaxing stay there. We rented this house for my husbands 50th birthday and had a lovely stay. The house is in a nice location with a good view. 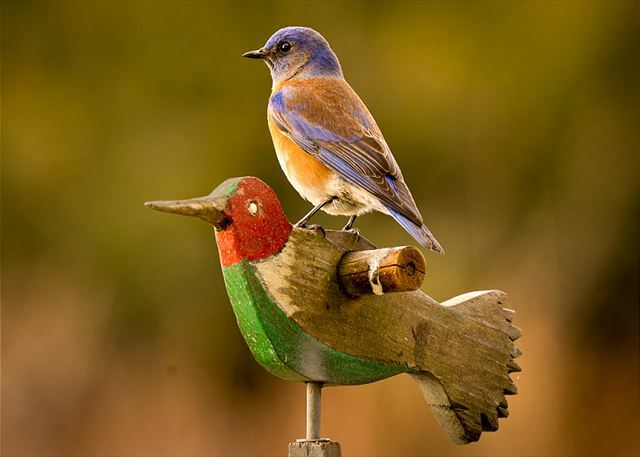 The neighbors are close but when you are down in the living room or on the deck you don't know they are there. The bed was comfortable and you are able to bring dogs. We had a wonderful stay at Escape at Wild Moor. 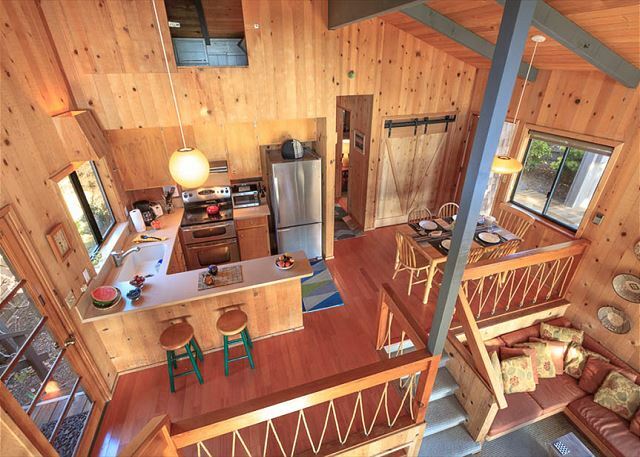 We have rented homes at Sea Ranch for the last 20+ years and this one was the best. The only problem was step out the patio needs to be better lit. 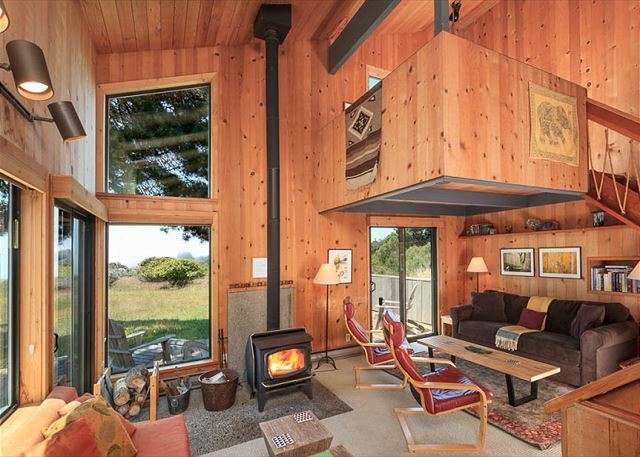 We live in Boston and have long wanted to visit Sea Ranch given the development's reputation for beautiful houses and site. 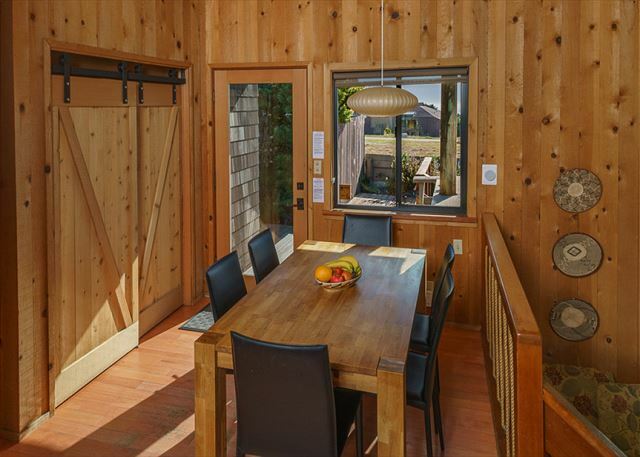 Escape at Wild Moor was the first stay for our family of 4 (2 kids, 10 and 12), after around 3 hours of searching and comparing available Sea Ranch rentals. We loved it! The house was great, clean and serene and with a surprising roominess. The aesthetic was spare and simple but comfortable and we never felt on top of one another. All the amenities that were needed were present (for large fry pans look in the oven and for towels, rent them directly from Ocean View) and worked well. We used the house as a base for hiking the bluff trails as well as quiet mornings and evenings reading or watching family movies (there were deer within 100 feet of the house on at least 2 occasions). The interior signage for guests is well calibrated to be helpful but not annoying. The bluff trails are absolutely amazing and we would highly recommend both the location and the house. Our minor quibbles about the house would be that 1) the hot tub heater is relatively loud if you are on the deck or have a window open and was necessary since we didn't use the hot tub, and 2) the shower (there is no tub) is relatively dark. Sea Ranch seemed surprisingly empty in mid-April (MA school vacation week) and we only saw a dozen people during a 4 hr walk along the trails, in spite of beautiful weather. Thank you to the owners and the Ocean View team for a lovely vacation! A dear friend of mine and I rented "Escape at Wild Moor" and just loved our time there. The home itself is warm and welcoming and very comfortable. The deck is fantastic! You can see white water from there, and yet you feel so private even though you are in a meadow home. The hiking from right out the door is fantastic, no matter which direction you choose to point yourself. And of course, Ocean View Properties is just a wonderful rental company to work with . We've worked with them for years and always feel so well-taken care of. We had a great time staying here. The kitchen was equipped with all we needed to cook meals. Also, the trails and ocean view were a delight. 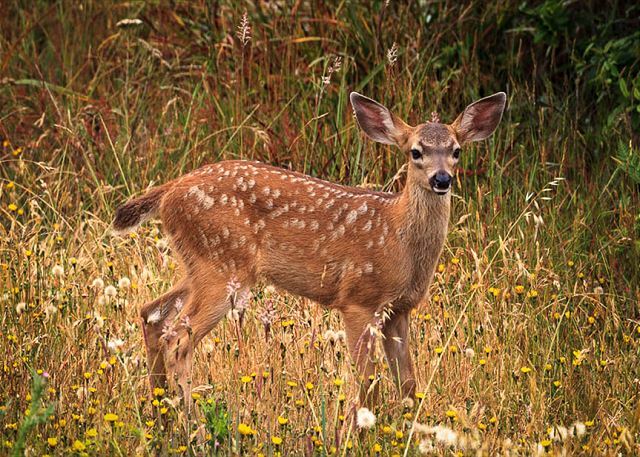 We enjoyed seeing the deer feast on the meadow as well. 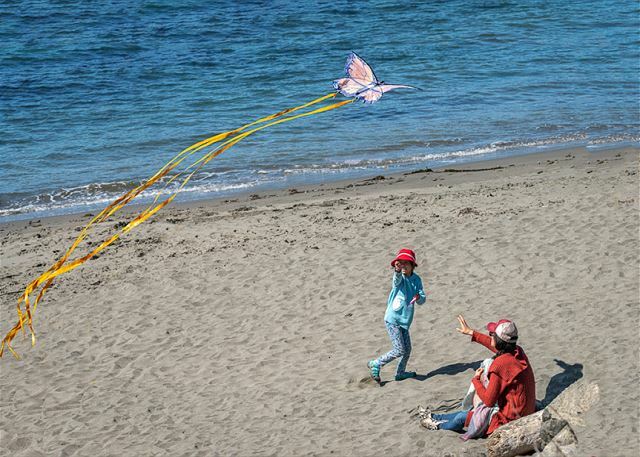 Escape is a great house within a ten minute walk to Shell Beach. 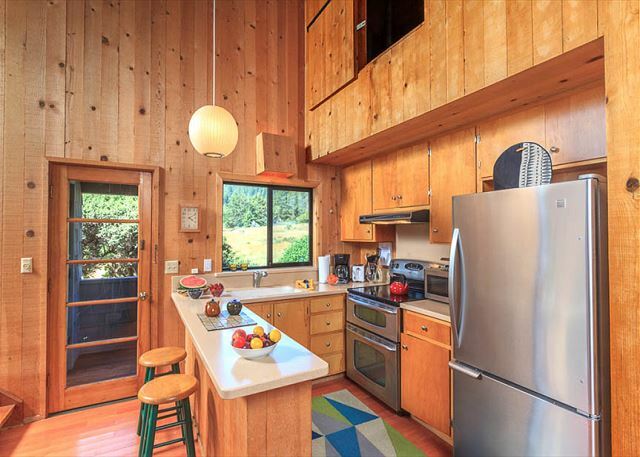 Wonderful location with the charm of an original type Sea Ranch house. 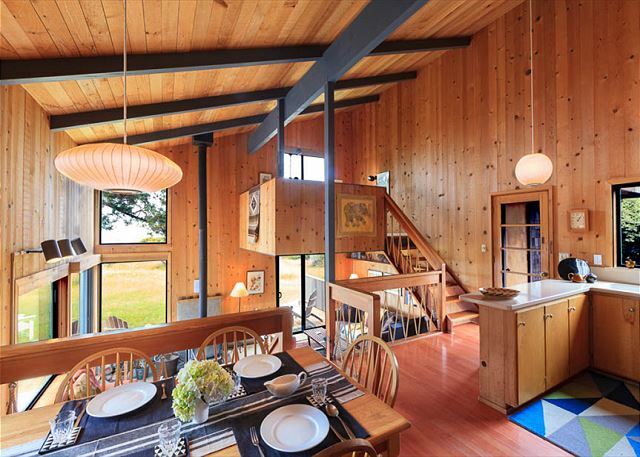 Its design is inspired by the original intent of the Sea Ranch architects. Less is more. A light touch on the land with all the necessary creature comforts required for a vacation home. My partner and I will return with our two Aussies. We had a lovely vacation in this house. It's very comfortable and clean and has a great view out over the meadow to the ocean. Loved coming back to this property in 2015 after renting it for a long weekend back in 2003! New owners really keeping this property clean and well-maintained. Enjoyed the wildlife parade right outside the sliding glass door including fox, turkeys, and multiple deer. Hope to return soon! We spent a very relaxing 3 days at Escape at Wild Moor. We took walks on the beach on nearby trails, drove up to 2 Fish Bakery for bread and sticky buns early one morning, did a iittle shopping in Gualala and had a dinner out at the Lodge. A nice relaxing time at a very pleasant house. our 6th or 7th time at wildmoor since the early nineties - and we will come back again. feels like home away from home.